This is the first thing I’ve baked in a while, I’ve missed it so much! I’ve actually been meaning to make this since last October and I’ve only just got round to it. 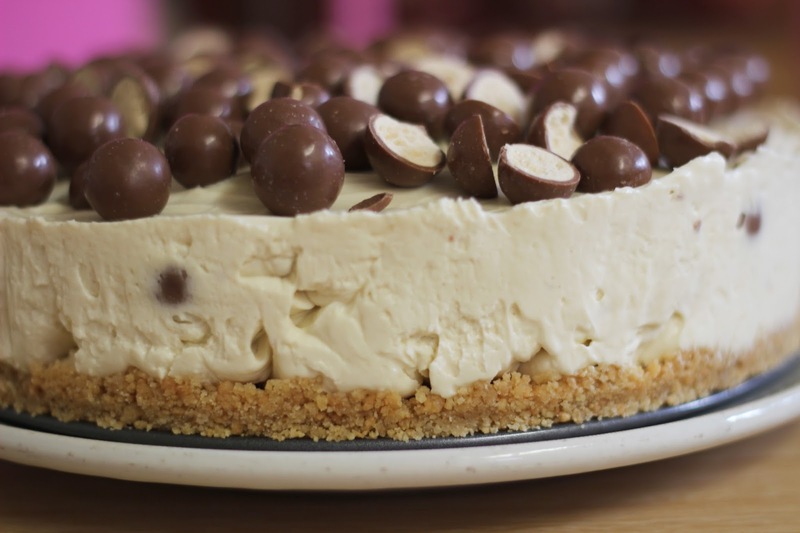 I always find that cheesecakes are quite quick and easy to make, so I thought it’d be a good thing to ease me back in to baking. 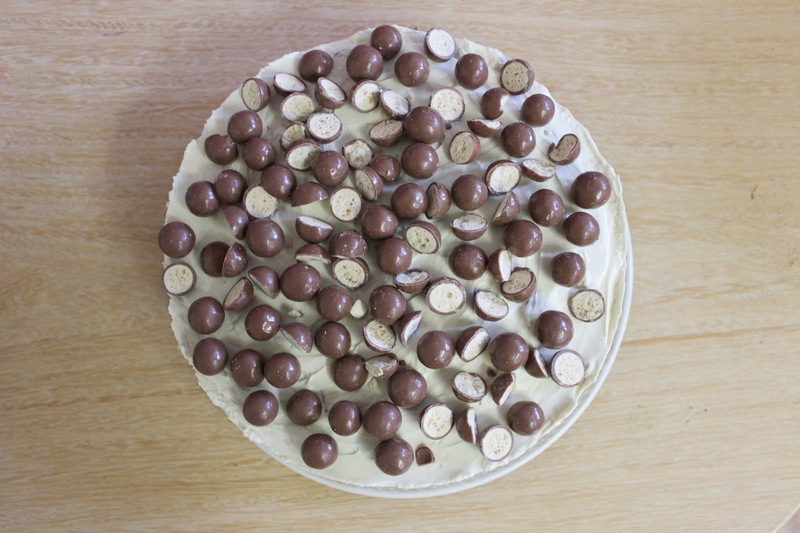 Maltesers and Comic Relief were also doing something for charity when I baked this, if you used #bakeamillion on a social media platform and uploaded a photo of your Maltesers bake, they’d donate £5 on your behalf to Comic Relief. I found this recipe on UniLad. 1. For your base, either put the biscuits in a food processor or a food bag and bash with a rolling pin until they are breadcrumb consistency. Melt the butter and mix in with the biscuits to create your buttery biscuit base. Put the base in a lined cake tin, spread out evenly and then pop it in the fridge for 30 minutes to set. 2. 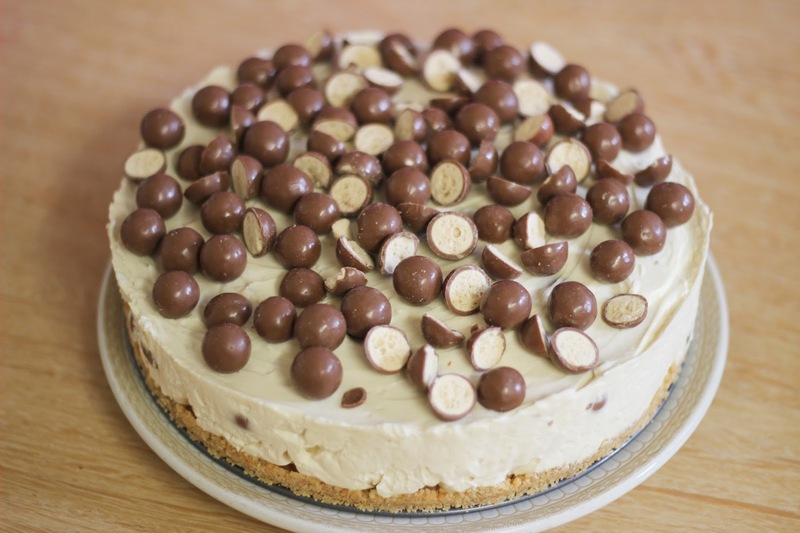 While your base is setting, chop 150g of your Maltesers in half and then mix all the Maltesers back in together. Weigh out 150g of the whole and halved Maltesers into a separate bowl. 3. Also while your base is setting, whip your double cream until it is just stiff. 4. Put your cream cheese, Horlicks and icing sugar in a bowl and mix until combined. 5. Fold your whipped double cream into the mixture. 6. Add 150g of the whole and halved Maltesers into the mixture. Then pour the mixture into the cake tin and spread out evenly. 7. Put the cheesecake in the fridge to set for 3-4 hours or overnight. 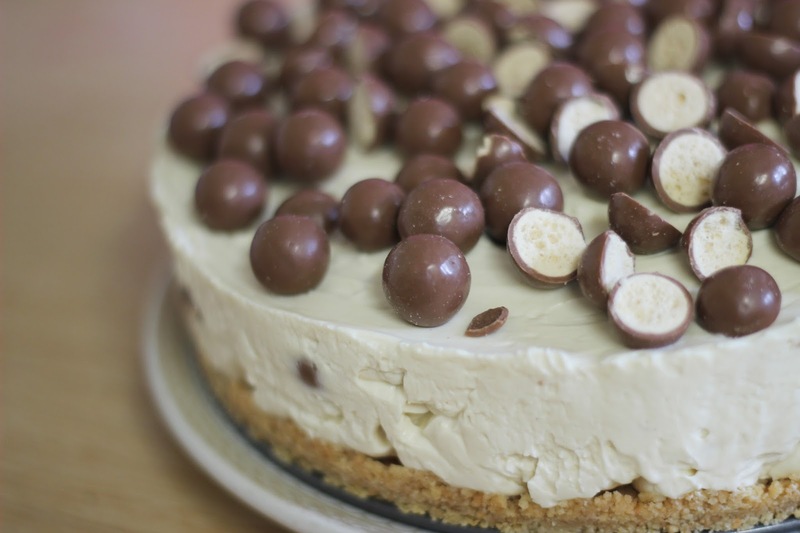 When it is set, sprinkle the rest of the Maltesers on top. Delicious!